Everybody loves to complete their meal with a sweet dessert. This review in the New York Times indicates that the history of desserts dates back to 3000 BC. People of ancient civilizations used to roll nuts or fruit into candied honey and enjoy dessert. The manufacture of sugar started in the middle ages, but only the wealthy could treat themselves to sweet desserts as sugar was quite expensive at that time. Let’s now take a look at the history of popular dessert items: Ice cream dates back to 3000 BC when it was invented by the Chinese. Vanilla is created from an orchid flower and was first made popular by natives in Mexico. Chocolate was discovered by European explorers in Central America and Mexico and back then it was consumed as a spicy drink. The history of apple pie dates back to 1381 and it was popular among early American colonists. Desserts are not only tasty, but also offer numerous health benefits reveals Ezmealplan.com. For instance, dark chocolate and pumpkin are packed with antioxidants, fiber, and vitamins that can boost your diet. 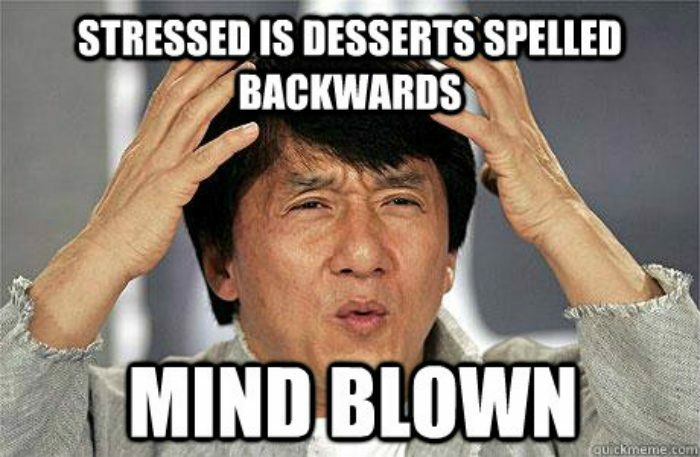 Desserts are great for the mind too. Sweets with a high percentage of carbohydrates assist the brain to produce feel-good chemicals like serotonin. Desserts also help in weight loss as they satisfy cravings and satiate your sweet tooth. Plus, they are a great occasion to include more fruit in your diet. Add blueberries and raspberries to frozen yogurt to make yourself a delicious dessert loaded with healthy fats and protein. Finally, desserts are a boon to dieters who reduce their intake of sugar and carbs. This can lead to feelings of distraction, mental fog, and sluggishness. Consume moderate amounts of chocolate pudding or jello as dessert to get the necessary glucose for energy. In short, desserts can not only make you happier but also healthier. 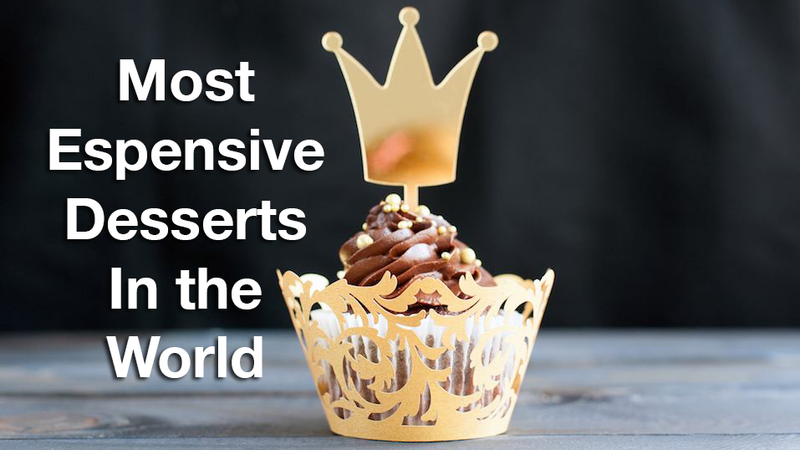 On the same note, let’s take a look the list of most expensive desserts in 2018. These unaffordable dishes were raked up by chefs for promotional purposes or to raise funds for a noble cause. We start our list of most expensive desserts with La Madeline au Truffle which is made by Knipschildt Chocolatier in Norwalk, Connecticut. If you have spare $250, you can enjoy a single truffle and for 1 lb you need to cough up $2600. This mouth-watering dish is delectable because its ingredients include vanilla, truffle oil, sugar, heavy cream, and 70% Valrhona dark chocolate. Begin the dessert with a rare French Perigord truffle that is encircled by a rich ganache. Your dining experience is made finer by the packaging as the restaurant has created an exquisite golden box for the truffle. You will not be able to walk in and enjoy this dish. First call them and make your order and then troop in later to taste the item. The brain behind this dessert is David Klein who is famous for his popular Jelly Belly jelly beans. The special feature of this item is that the taste is natural as there are no artificial colors or flavors. There are a dozen flavors to be enjoyed but the main reason for the $500 price is the packaging. The candies are housed in a beautiful crystal jar and each bean is coated in 24-carat gold leaf. If you simply want to enjoy the tasty beans and not shell out $500 for the special packaging, you can buy a smaller box that does not have the fancy crystal or gold and therefore retails at an affordable $16. Serendipity 3 restaurant in New York City conjured up this masterpiece for its 50th anniversary. This dessert beats all other ice creams in taste and was tops for a while in price too as it was featured in the Guinness Book of World Records for its $1000 price tag which made it the most expensive sundae after its launch. Despite its exorbitant cost, the restaurant gets about one order per month from wealthy patrons. You need to give a 48-hour notice so that the eatery can source the different ingredients from global locations. These ingredients include Grand Passion Caviar, chocolate truffles, and Tahitian vanilla bean ice cream dusted in 23-carat edible gold leaf. This dish is then topped off with gold flakes and gilded sugar. Another highlight is you get to keep a worthy souvenir for your grand dessert experience as the restaurant allows you to take home the $350 Baccarat Harcourt crystal goblet that is used to serve the ice cream. For the same $1,000, you can partake a cupcake if you are not fond of ice creams. This cupcake is available in a small bakery named Bloomsbury’s in the Dubai Mall. Why is this dessert so expensive? The reason is the ingredients include Ugandan vanilla beans, Italian chocolate, and strawberries dipped in gold. On top of all that, the icing is dusted in edible gold. The bakery enriches your dining experience by providing you a golden spoon to eat this cupcake. Thus, you get a satisfying and unique experience for the grand amount you shell out. However, you cannot take home the spoon and need to be satisfied with the quantity of gold consisting of the 23-carat edible gold sheets that you consume when you eat this dessert. You probably head for the neighborhood Krispy Kreme outlet every morning to have your fill of doughnuts and coffee. However, you may be surprised to learn that back in 2014 this company created a $1,685 classic doughnut to raise funds for The Children’s Trust. What made this doughnut so special and worthy of such a huge amount? To start, it was covered with 24-carat gold leaf and included a few edible diamonds. It was adorned with a white chocolate lotus and its stuffing was made of Dom Perignon champagne jelly. The eating experience was made grander as Krispy Kreme served a cocktail with Dom Perignon 2002, Courvoisier Cognac, and passion fruit and raspberry syrup, along with the doughnut. However, you will not get to see this masterpiece anymore as it was created only once for the noble cause mentioned above. To eat this beauty, you get a golden spoon and an 18-carat gold bracelet with 1 carat of white diamonds, and the ice cream is provided in a goblet with a gold crown. You need to order these items in advance. The restaurant sources the truffle from France and cocoas from multiple global locations. The gold is imported from Switzerland and the eatery needs some time to put together all these ingredients so that they provide an amazing dining experience to the well-off gourmand who can afford the hefty price tag. For just $0.50, you can get a six-pack of pudding at your local grocery shop. But if you have the means and the inclination, you can shell out $34,000 for the most expensive pudding in the world. This beauty is the brainchild of Chef Marc Guibert at the Lindeth Howe Country House Hotel in England that desired to create a world record for the costliest chocolate pudding. This dessert includes a replica of a Faberge egg and a few embellishments to the standard recipe. The dish’s ingredients include edible gold, caviar, and delicious chocolates as well as a 2-carat diamond that is not edible. The eatable parts consist of a covering of edible gold leaf, four flavors of Belgian chocolates, and gold and champagne caviar. You can wash down the pudding with a bottle of Chateau d’Yquem that itself costs about $700. Give the hotel three weeks notice and make a down payment to partake this luxurious dessert. The reason why this sundae costs so much is its promoters will fly you to Mount Kilimanjaro in Tanzania in first class style and provide you five-star accommodation. At the mountain, the chef will create the ice cream utilizing glacial ice obtained from the summit. If you have an extra $25k, you can take along a friend with you. The sundae itself consists of a banana split that costs just $3,333.33 to make. It is made with bananas and syrups concocted from rare wines. They provide you a special spoon made in the 1850s to eat this tasty dish. Give the promoter a day’s notice and they will present the services of a cellist who will play soothing music as you taste this delectable fare. You probably spend a few bucks every Christmas to buy and taste a fruitcake as this dessert is popular during the holiday season. However, the Takashimaya Department Store in Tokyo took grandeur to a whole new level by ordering a special cake costing $1.72 million to be made for display at their premises for promotional purposes. The reason for the grand price is the 223 diamonds studded into the cake that make up a total weight of 170 carats. This cake is meant for display and not for consumption so no one needs to worry about biting into one of the diamonds. The creators of this masterpiece took six months for design and one whole month to make it. Fancy a cake that costs as much as a big mansion? The winner of the grand prize is a plate of strawberries served at Arnaud’s Restaurant in New Orleans. Their standard strawberry dessert costs about $9 but they created this special dish on the occasion of Valentine’s Day in 2016 to regale their patrons. Apart from regular strawberries, the dessert includes additional ingredients that account for the heavy price. These include 24-carat gold flake toppings, whipped cream, vanilla ice cream, and a variety of expensive champagnes and liquors that provide a zing to the dish. Another main reason for the $9.85 million price is an exquisite box that hosts a 10.06-carat royal blue diamond engagement ring created by MS Rau Antiques that is placed at the base of the dining plate. It was as they say created specifically for Valentines day which is one of the most popular days to get engaged. If I remember right, there are several styles of the ring to choose from. With so many shows and movies that showed the engagement ring baked into or hidden in/on the desert this trend has become popular as that truly unique and memorable way to propose. Insane peice but hey; if you have the money; why not right? thanks for sharing this with us! i was wondering what they were?